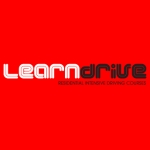 Intensive driving courses/ crash course specialist. Hourly lessons also available. Manual and automatic, approved and highly recommended male and female instructors. Quick pass course with test. Is your business listed for Driving Instructors in Wigan?